We mounted a fully functional 200 litre system on a trailer including a radiator to demonstrate the performance of our Evacuated Tube Collectors. A 180W photovoltaic panel is used to load a 12V battery. An inverter transforms into 220/240V to run the pump/controller unit. 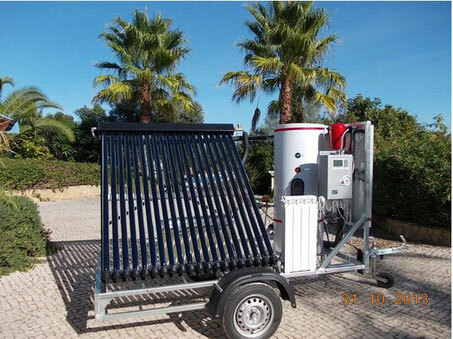 This makes the trailer self-sufficient and gives us the opportunity to show future clients interested in renewable energy systems how they can save on energy consumption. 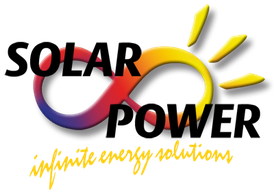 We also visit schools and educational institutions to inform the future generation about the potential of thermal solar energy. In this video we explain easily how evacuated tube collectors work.